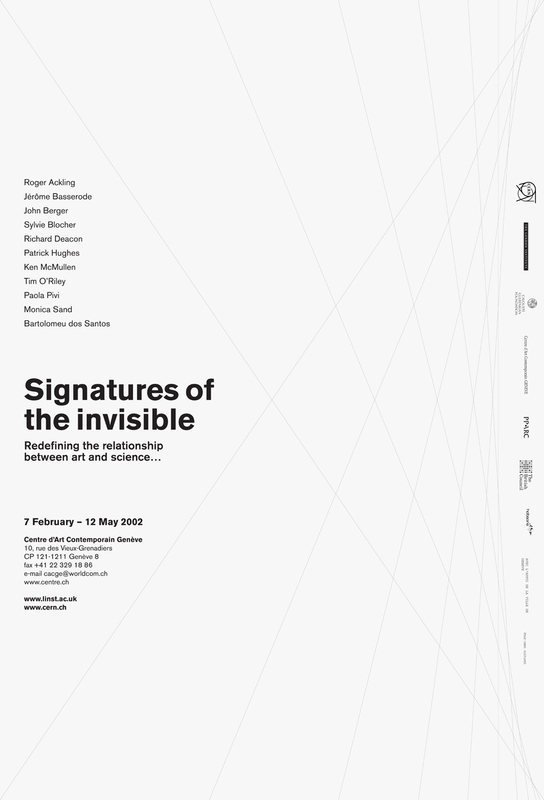 ‘Signatures of the Invisible’ was shown in London, Rome, Geneva, Lisbon, Japan and the US – the result of a collaboration between University of the Arts London and CERN in Geneva. Leading artists worked with distinguished scientists to make works in response to theoretical physics to redefine the relationship between art and science. We designed the exhibition catalogues, invitations, posters, signs and fundraising materials. The design of the poster for the Geneva exhibition includes curving silver lines that correspond positionally to the Fibonacci numbers.